Cities such as Barcelona, which have grown gradually over the course of millenia, have to deal extensively with antiquated structures. Yet in many cases it is structures that are only decades old that pose the greatest problems. An example is the elevated traffic-circle at Plaça de les Glòries: it is only a few decades old and in perfect condition, yet it is currently being demolished to make way for a park and underground tunnels. This studio asks whether this viaduct couldn’t be reused in a way that would, moreover, create a modern metropolitan city centre with an urban square rather than a park. 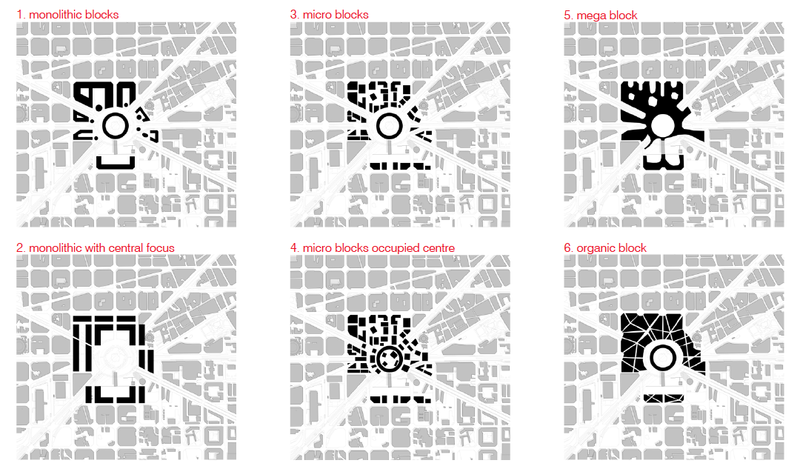 In doing so, cohesion could be brought to the heterogenous collection of buildings at the site’s perimeter, such as the DHUB (by MBM), Torre Agbar (by Jean Nouvel), Encants flea market (by B720), Teatre Nacional (by Ricardo Bofill), and others. After initial site and precedent analysis, students worked in groups of three to draw up a masterplan for the entire site, after which each student worked individually to design one of the plan’s buildings in greater detail. The work below is by University of Calgary Architecture students Erik van der Putten, José Trinidad, and Jaqueline Tran. 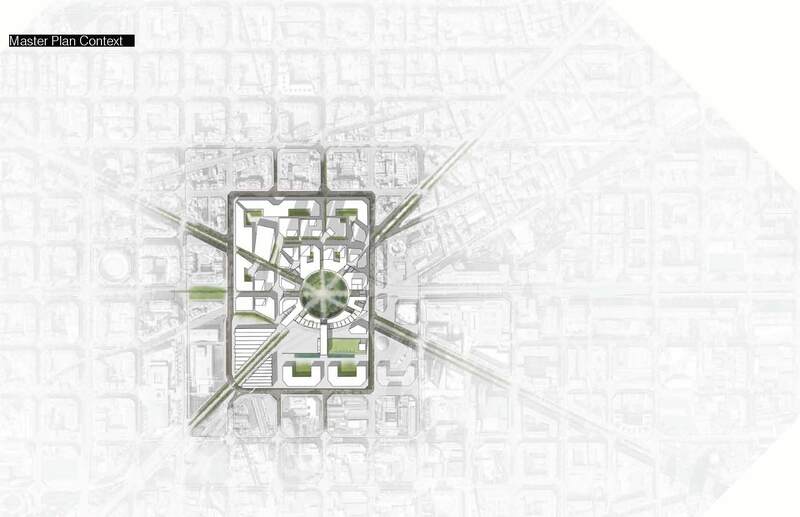 Six radically alternative initial schematic studies were initially compared for the Glòries site, each incorporating the existing elevated traffic-circle.